Did you know that seashells belong to the kingdom known as Mollusca? Most Mollusca are soft, slug-like creatures with a hard external shell that helps protect them in their ocean environment. It’s this outer shell that is more commonly known as a seashell. The shell itself is primarily composed of calcium carbonate, which is secreted over time by the outer surface of the shell as the mollusk ages. When the mollusk dies, its shell is the one part that generally remains intact. During your last trip to the beach, the chances are pretty good that you came across some interesting seashells that had washed up on the shore. It’s the intricate design and colorful pattern of seashells, of course, that so fascinates us. The shell’s design and color are actually dependent on the mollusk’s diet. In warmer waters, you are more likely to find colorful shells, while in colder waters you are more likely to find seashells in darker shades. Most mollusks use their shell for protection and can withdraw completely or at least partially into it when faced with danger. 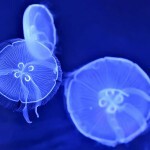 The mollusk is only loosely attached to its shell, although the animal may make use of the shell for buoyancy while crawling or swimming along on the ocean bottom. Did you know that no two seashells are exactly the same? That’s because the growth process the shell endures always varies, producing irregularities on the outer surface of the shell. When you find a shell that looks unique, that’s because it is unique! – Alabama Gulf Coast. It’s more a matter of timing than it is location when it comes to shelling in Gulf Shores and Orange Beach. The best times to find shells, most of which tend to be smaller species, are at low tide and after a storm. In Orange Beach, the area around Alabama Point is sometimes a good spot to find several different kinds of scallops, tellins, arks, and sand dollars. Some beachcombers recommend the quieter beaches of the Fort Morgan Peninsula and Dauphin Island as the best spots to find shells. – Anna Maria Island. Sixty percent of the land on this seven-mile-long barrier island, which lies between the Gulf of Mexico and Tampa Bay, is open beach, so there are lots of spots for shelling. And while there are no buildings more than three stories tall in this tiny tropical paradise, there are plenty of shops, restaurants, art galleries, and other things to do, plus vacation rental choices that range from beachfront condos to villas with private pools. 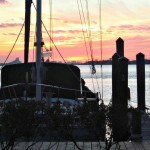 Learn more about vacationing in Anna Maria Island. – Caladesi Island State Park. Located near Dunedin, Florida, Caladesi Island can be reached only by boat or ferry, so it’s never crowded. In addition to great shelling, park activities include fishing, swimming, camping, picnicking, hiking, and boating. There are also restrooms and a concession stand that serves food. – Captiva Island. 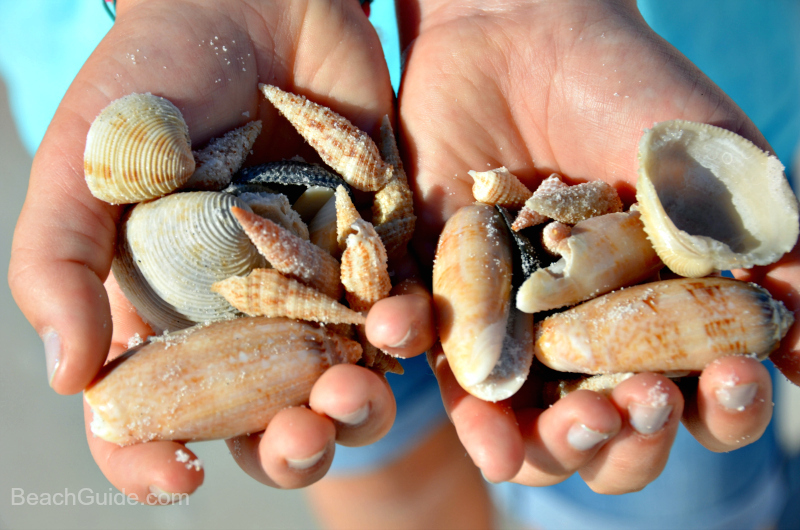 Along with neighboring Sanibel, Captiva Island is tops as a spot to find shells. Smaller than its sister island, it still has five miles of beach, plus plenty of places to stay, shop, and eat. – Cedar Key. Small and secluded, Cedar Key is about 50 miles southwest of Gainesville and accessible from the mainland by bridge. Once a busy railroad, lumbering, and fishing town, it still retains its Old Florida charm. In addition to the beach, it offers tidal pools and mangroves, marshes, mudflats, and pine forests. It’s also a birdwatchers’ paradise, with plenty of egrets, herons, ospreys, and even the seldom-seen roseate spoonbill. – Honeymoon Island. Located off the coast of Dunedin and separated from neighboring Caladesi Island by Hurricane Pass, Honeymoon Island is home to a state park and more than 3.5 miles of beach. Shelling is especially good at the state park, which also has a 2.5-mile nature trail that winds through one of the few remaining South Florida virgin slash-pine forests. – Jupiter Island. On Florida’s Atlantic side, north of West Palm Beach, Jupiter Island is another shell hunter’s paradise. More than 200 varieties have reportedly been found at the island’s Coral Cove Park. The park also offers picnic areas with grills, a playground, and restrooms, so it’s a great spot for a family outing. – Little Talbot Island State Park. One of Northeast Florida’s few remaining undeveloped barrier islands, Little Talbot boasts five miles of unspoiled beaches, plus dunes, salt marshes, and maritime forests. Park facilities include picnic pavilions, a campground, and hiking and nature trails. Nearest city to the park is Jacksonville. – Marco Island. Sand bars help trap the shells at Marco Island, 30 minutes’ drive west of Everglades National Park. The island boasts more than three miles of beaches, but the best spots for shelling are South Beach and the northern part of Tigertail Beach. The best place to find sand dollars is a sand bar off Tigertail, named, not surprisingly, Sand Dollar Island. Away from the beaches, there’s plenty to do in the area, with lots of shops and restaurants, golf courses, boating and fishing charters, and more. – Sanibel Island. Without a doubt, Sanibel is one of the best shelling destinations, not just in the United States, but in the world. The experts believe that the abundance of shells is due to the fact that part of the island runs east and west, while most Florida islands have a north-south orientation. Sanibel’s orientation creates a south-facing beach that slopes into the Gulf and catches shells, which otherwise would roll past the island. Approximately 400 species of shells can be found on Sanibel beaches, including tulips, olives, and the rare junonia. Sanibel also boasts plenty of vacation rentals, shops, restaurants, and the Bailey-Matthews National Shell Museum. – Shell Island. This seven-mile-long barrier island lies between the Gulf and St. Andrews Bay in Panama City Beach. There is no development on the island, which can be reached by tour boat or the Shell Island Shuttle. The shuttle runs every half hour daily, from 9 a.m. to 5 p.m., during the summer, but hours may vary the rest of the year. There are no restrooms, picnic tables, or other facilities on the island, so visitors should plan accordingly. The western portion of Shell Island is part of St. Andrews State Park. – Shell Key. This long, narrow barrier island is a short boat ride from Passe-a-Grill beach, near Fort DeSoto. Part of Shell Key Preserve, the unpopulated island has no amenities (no restrooms), but the beach yields everything from ark and conch shells to sand dollars. – Venice Beach. The charming Florida community of Venice, located midway between Tampa and Fort Myers, boasts four beaches, including one that welcomes pets. In addition to shells, Venice beachcombers will find plenty of fossilized sharks’ teeth – evidence that area waters were once home to an incredible number of sharks. – Plan shelling excursions for low tide, after storms, and early mornings before everybody else hits the beach. – Know the moon phase. These can affect shell yields, too, because moon phases affect tides. The most extreme tides take place during a new or a full moon. – Collect only dead shells. Collecting shells that still have their live occupants has been banned on Sanibel Island and many other beaches. – Take along a bag or bucket to hold your finds. 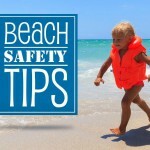 You also might want to include a small shovel or rake for digging shells out of the sand. – Be patient, and be flexible. No one place is consistently the best spot to find shells – don’t expect to build an interesting collection with one outing. And keep in mind that the search is part of the fun! Need a place to stay while you’re at the beach? 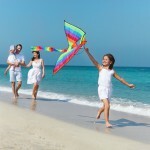 Check out our listings for vacation rentals, plus restaurants, shopping spots, and other fun things to do at BeachGuide.com.